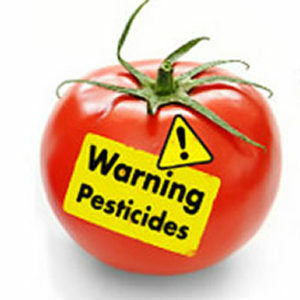 Pesticides are the only toxic substances released intentionally into our environment to kill living things, such as weeds, insects, fungus, and rodents that may reduce crop yield. But they’re used almost everywhere, including in our homes, parks, schools, buildings, forests, and roads, and can be found in the air we breathe, the food we eat, and the water we drink. Despite what government agencies and corporations tell you, pesticides are not safe. They are proven to be linked to 29 diseases, ranging from short-term impacts such as headaches, skin and eye irritation, nerve damage, dizziness, fatigue and nausea to chronic impacts like cancer, reproductive harm, birth defects in offspring and endocrine disruption. Unfortunately, the US Environmental Protection Agency allows cancer-causing chemicals to be used despite their public health hazard because of their economic, social, and environmental benefits (i.e. profit). Based on data from the EPA, more than 70 active ingredients known to cause cancer are allowed for use. Does this make you wonder how people managed to grow enough food to survive before this relatively modern poison was invented? Let’s look at one ancient civilization – the Mayans. They were well-diversed in knowledge of herbal medicine, not only for natural healing, but also for pest control. For example, the neem tree (Azadirachta Indica) can grow as tall as 20 meters and its leaves can treat a host of diseases, such as cholesterol, hypertension and diabetes, just to name a few. It also boasts antibacterial qualities, which means it can help with skin issues and even help rid the body of toxins and impurities. Its uses in crop cultivation are every bit as impressive; it has been proven to fight one of the most dangerous threats to the cultivation of produce, the white fly. Neem is believed to be 90% effective in pest control. It does not cause instant death like chemical pesticides; instead, it repels insects and serves as an anti-feedant, essentially causing the insects to prefer starving to death over eating the plant that has been treated with neem. If they eat it anyway, the neem will have a contraceptive effect, thereby interrupting their life cycle by ensuring they do not lay eggs. Plants that have been treated with neem are safe for beneficial insects like butterflies and bees, and insects must actually have fed on the plant tissues in order to be affected. Unlike chemical pesticides, it does not harm birds, mammals or earthworms. Neem is also biodegradable, which means it will break down quickly and easily. Neem’s insecticide action can replace the use of pesticides and chemicals, ensuring that the produce is not toxic for humans to eat. However, neem comes from the environment, not a corporation. Therefore, it will never be the pesticide of choice because no one person can profit from the use of neem. With this knowledge, why would anyone in their right mind want to buy produce that was doused in chemicals known to cause cancer, when they could choose options that were grown with natural pesticides? In the US, an organic label doesn’t necessarily mean free of pesticides. Buying directly from an organic farmer is the best route to go.